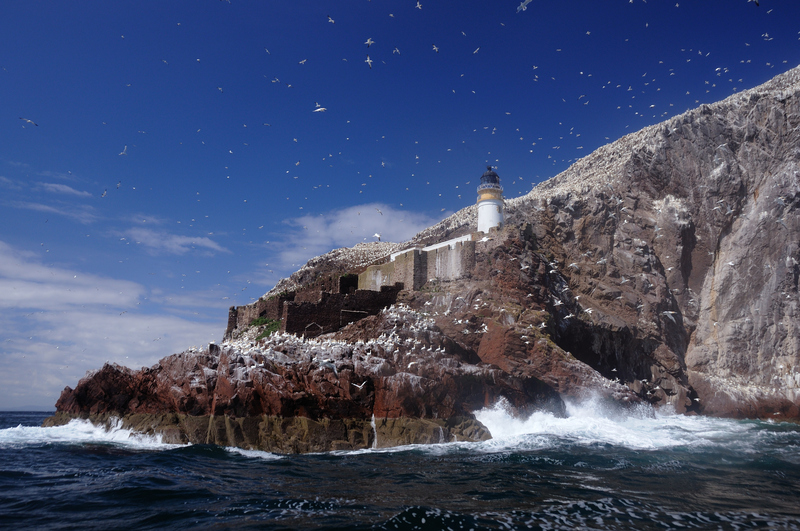 When I was researching my book Legacy of Faith, the Bass Rock was an important part of John Mackilligen’s story. He spent three years imprisoned on this barren island, along with many other Covenanters (illegal Presbyterians) at the time. The Rock itself is magnificent. It’s basically a cube of volcanic rock that rises steep-sided out of the Firth of Forth, 351 feet high. 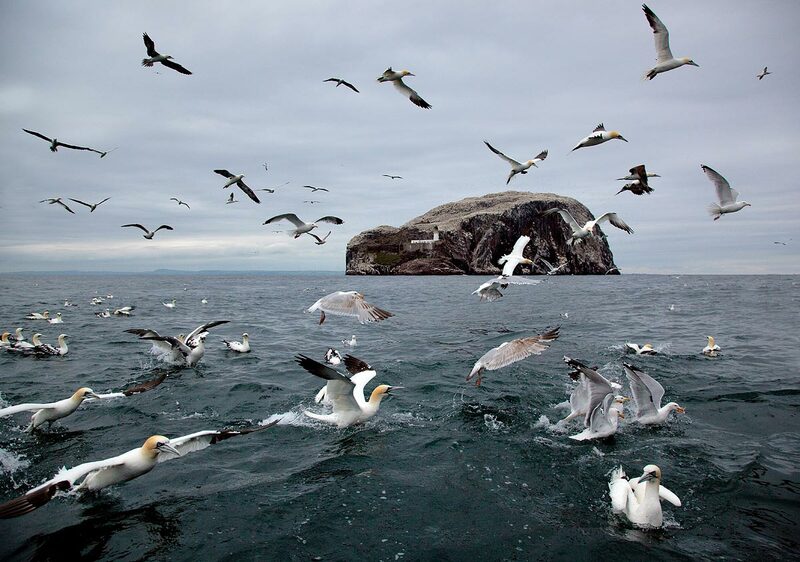 At present it is used as a sanctuary for seabirds, but its history is much darker. According to legend, its first inhabitant was a hermit monk, who was reputed to stay in a cave at the centre of the island’s top. Some time around the 14th century, the Lauder family built a castle on the cliffs, the ruins of which can still be seen today. After Cromwell’s brief Commonwealth, the Bass Rock passed into royal hands. Charles II decided it made a handy gaol for his many enemies, and so its period of notoriety began. We have a few descriptions of the Bass at this time – when John arrived he would have been raised in a boat by a crane to the castle, he would have had little to eat and only dirty water to drink, and the continual dampness in the prison led many inmates to chronic sickness and even death. I can’t read John’s inspiring story without encountering that imposing, solitary rock in the middle of the sea. For me, the Bass is a symbol of trials in the Christian life. I can let those trials defeat me, or like John I can use trials as a means to draw closer to God. Next postGuest Post by Erin Hatton: What were you made for? Neat! Amazing the power of story to speak to us. 🙂 Thanks for sharing. Wow, very interesting! Thanks for sharing! The story tells of the human spirit enduring. All we need is inspiration. I love the sea and your photograph is wonderful. I mention a similar theme in my novel, Still Rock Water. Bless.